This exclusive 11 year old Islay single malt was laid to rest at the Bruichladdich distillery on the 12th June 2001 and bottled under their Port Charlotte label - the moniker they use for the heavily peated releases - on the 2nd November 2012. 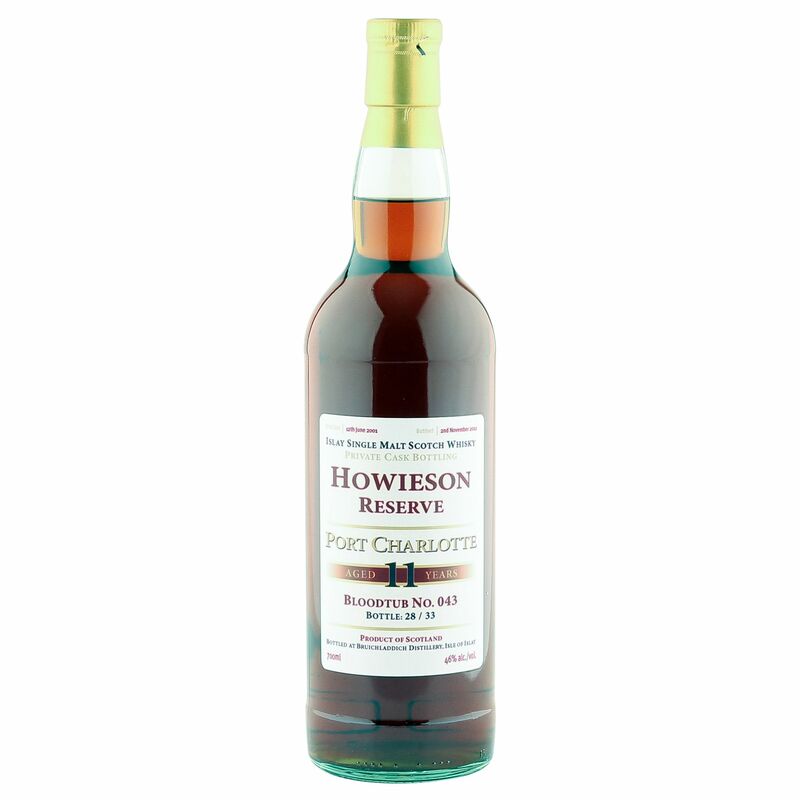 A private cask bottling labelled as Howieson Reserve, this sensationally deep coloured malt was matured in Blood Tub number 043 and is one of just 33 bottles yielded at 46% ABV. Blood Tubs are commonly used in brewing beer, these small casks hold just 40 litres but can provide incredible results when maturing some of the motherland's finest. A quite magnificent find.